It’s been a while since I’ve written anything, so I thought I’d just jot down a bit of an update on what I’m doing with the old pipes. Part of the reason I haven’t posted anything is that I’ve been practicing a lot. It all started when I went to bagpipe camp last summer. I’d wanted to go to the Coeur d’Alene Summer School of Piping and Drumming since I heard about it in the first month I started on the practice chanter, back in 2007. Things finally worked out to do it in 2011, and it was incredible. I think this school has been going on for over 40 years, and its location in Coeur d’Alene makes it a spectacular place to be. It was total immersion in piping for a week, culminating in competition at the Spokane Highland Games. In addition to the lengthy daily classes, most evenings feature recitals from the awesome instructors, lectures, and films on piping. I like to be challenged, and somehow I got placed into the advanced class, taught by the impressive Ann Gray. She gave us a lot of music and pushed us hard, including a big MSR of Southall/Tulloch Castle/Mrs. MacPherson of Inveran. We also did lots of piobaireachd work, with instruction by the legendary Andrew Wright, on Gathering of the MacNabs, MacCrimmon’s Sweetheart, Sound of the Sea, and (my favorite of the bunch) Proud to Play a Pipe (Dastirum gu seinnim piob). Click Andrew’s photo below to hear a bit of his piobaireachd instruction in our class. I played it too slowly and made lots of note errors, but got through it and placed third. It was a good experience, but one I’m glad is behind me! Later that evening, I really enjoyed the annual Hornpipe/Jig Competition at the local tavern, where the top players played some fantastic tunes for the ever busy Andrew Wright. 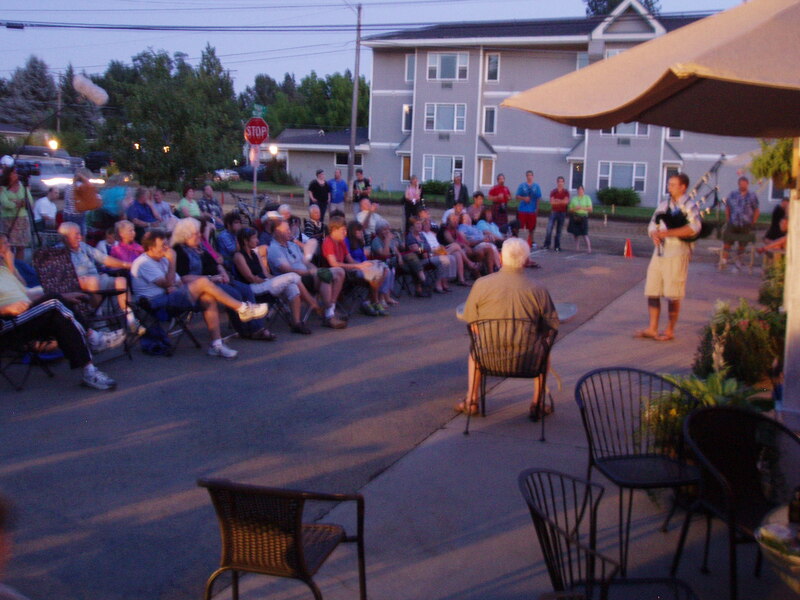 It was great to relax with a pint and listen to some excellent performances. The next day I drove to Spokane to compete in the Grade 4 piping events. I completely butchered “Mrs John MacColl” (2/4 march) in front of judge Ann Gray and got 5th; I played “The Highlander” (6/8 march) in front of judge Alan Walters and got first; I played Bruce Gandy’s “Mairi Matheson of Carloway” and “The Rejected Suitor” in the strathspey/reel for judge Andrew Wright and got first in that, which gave me enough points to win the aggregate. I was quite surprised because I felt I could have played better. It was a great way to end the week of intense bagpiping. I can’t wait for next year’s camp. The most exciting thing for me now is that I’ve finally begun taking lessons on the pipes. After years of working on stuff myself, and feeling like I’d reached a wall I couldn’t get over, I started taking lessons via Skype from Bruce Gandy (who lives in Nova Scotia). I’d been to a clinic he did in Portland a few years ago and really liked his teaching style, and have admired his piping since day one. I wasn’t sure what to expect, but the remote format and the first lesson were excellent and very motivating. I’ll post more about how the lessons are going after I’ve been doing them for a month, but if you’ve been considering Skype as an instructional medium, I found it much better than expected. 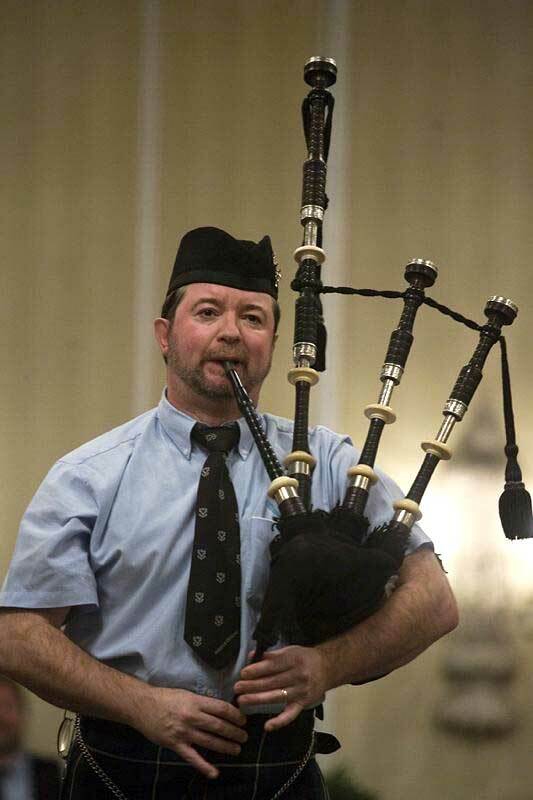 This entry was posted on Tuesday, December 6th, 2011 at 7:23 pm	and tagged with Andrew Wright, Ann Gray, Bagpipers Boise, Bruce Gandy, Coeur d'Alene piping school, piobaireachd, Skype bagpipe lessons and posted in Bagpipes, Music, Performances, Piobaireachd, Uncategorized. You can follow any responses to this entry through the RSS 2.0 feed.